The weekend bids you a happy and prosperous National Tequila Day. From a slew of partners behind LAX, Bolthouse Productions, Cobras & Matadors and—sure, why not—former Baltimore Oriole Brady Anderson, The Stork delivers casually upscale dining in an industrial hideaway. Fuel up for the exclusive soon-to-be lounge upstairs (which we'll be showing you soon). The ladies of Billion Dollar Babes occasionally pull out the big guns for guys as well, like this sale with Armani suits and Dolce & Gabbana wares among the goods to be found at up to 80 percent off. THE DADDY HOOKUP: Use the code "UDLA" (case sensitive) when RSVP-ing to gain VIP pre-sale access Friday at 3pm. The Groundlings troupe, once home to Will Ferrell and Lisa Kudrow, has been hard at work on a nostalgic new sketch-comedy show. This one hearkens back to that special (i.e., extremely awkward) time when a young man's body begins to—insert voice crack here—change. 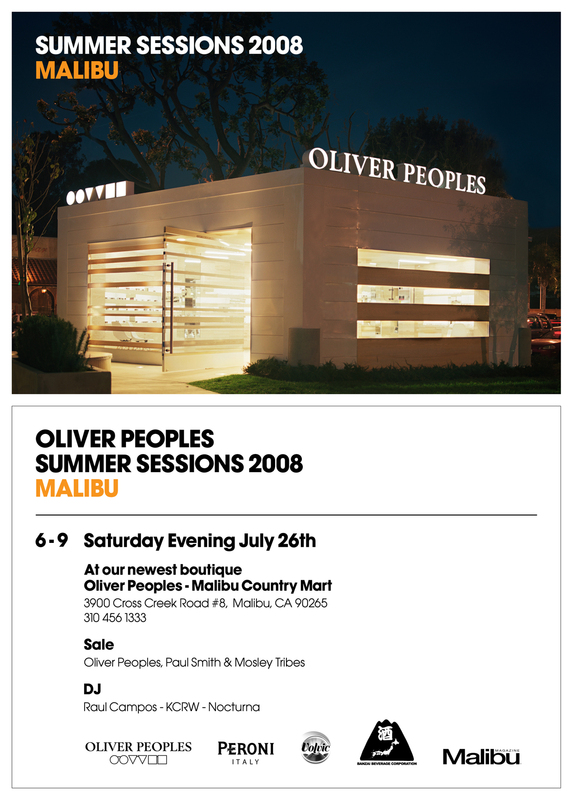 Esteemed eyewear purveyor Oliver Peoples launches the next wave of its famed Sunset Strip bashes this Saturday at its new Malibu outpost, with discounted shades and KCRW's Raul Campos spinning. Laid-back, beachy pandemonium shall ensue.